This pivot assembly is called a "Heretic" design. 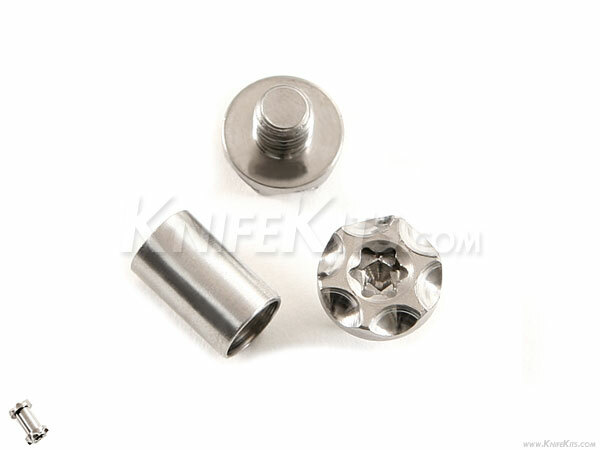 This version features (1) 17/4 H90 (.250") stainless steel precision pivot barrel and (2) (.375") 6al4v titanium designer 10-32 (T25) TORX screws. 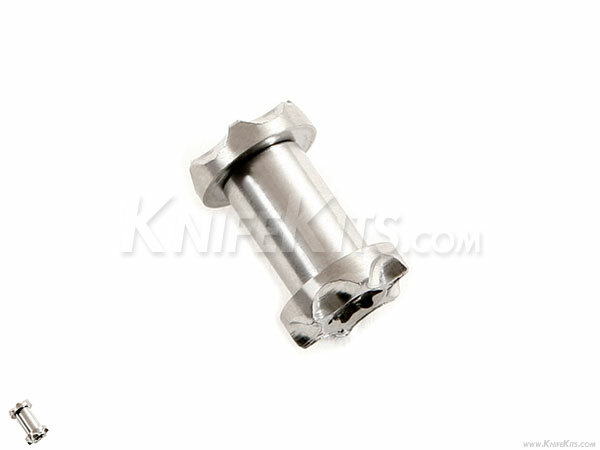 The barrel has through-threading, is machine finished and heat treated for long wear-life. The assembly can be used in any style of folding knife, or can even be used as a handle fastener on a fixed-blade knife design.